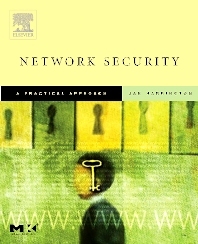 Network Security is a comprehensive resource written for anyone who plans or implements network security measures, including managers and practitioners. It offers a valuable dual perspective on security: how your network looks to hackers who want to get inside, and how you need to approach it on the inside to keep them at bay. You get all the hands-on technical advice you need to succeed, but also higher-level administrative guidance for developing an effective security policy. There may be no such thing as absolute security, but, as the author clearly demonstrates, there is a huge difference between the protection offered by routine reliance on third-party products and what you can achieve by actively making informed decisions. You’ll learn to do just that with this book’s assessments of the risks, rewards, and trade-offs related implementing security measures. Helps you see through a hacker's eyes so you can make your network more secure. Provides technical advice that can be applied in any environment, on any platform, including help with intrusion detection systems, firewalls, encryption, anti-virus software, and digital certificates. Emphasizes a wide range of administrative considerations, including security policies, user management, and control of services and devices. Covers techniques for enhancing the physical security of your systems and network. Explains how hackers use information-gathering to find and exploit security flaws. Examines the most effective ways to prevent hackers from gaining root access to a server. Addresses Denial of Service attacks, "malware," and spoofing. Includes appendices covering the TCP/IP protocol stack, well-known ports, and reliable sources for security warnings and updates. Security practitioners, managers, and administrators working in IT and networking departments. Jan L. Harrington, author of more than 35 books on a variety of technical subjects, has been writing about databases since 1984. She retired in 2013 from her position as professor and chair of the Department of Computing Technology at Marist College, where she taught database design and management, data communications, computer architecture, and the impact of technology on society for 25 years.